Have you ever seen a Muslim and often wondered "What do I say to them?" I have an answer...just say "Hello"
"Say Hello" Introduction Video from Say Hello on Vimeo. “America is home for Muslims from every nation in the world. God has given us the opportunity and responsibility to impart the gospel of Jesus to Muslims from all over the world, right here in America. The call to reach Muslims in faraway lands is the same call that beckons us to reach them in our own neighborhoods. Jesus charges us to “preach the gospel to all creation” (Mark 16:15). There is a marvelous line in Paul’s letter to the Galatians that says, “But when the set time had fully come, God sent his Son … ” (Galatians 4:4). Muslims worldwide who come to faith in Christ consistently identify one of three factors leading to their conversion (or a combination of these three). A copy of the Bible is placed in their hands. They see the love in a Christian community. They are visited with a supernatural dream or vision. 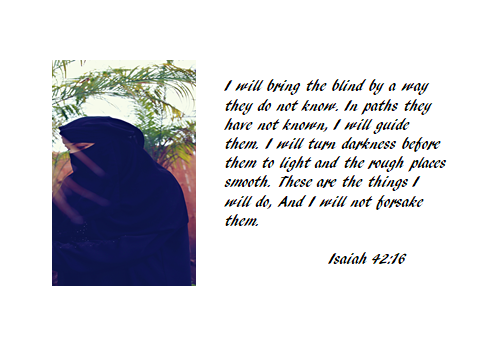 This is also Safeeya's story of Gods transformation and her heart is to go share with Muslims and Jews the hope that has been given to her in Jesus and see God transforming their lives from inside out. They will no longer hate, but be filled with love of Jesus for all humanity. Get My Free Report - "Do's and Don'ts of Reaching Out to Muslims"